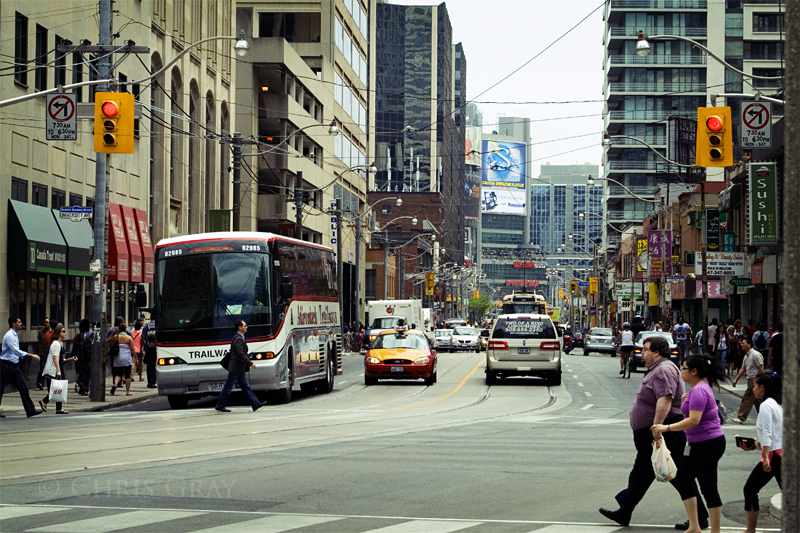 Looking east on Dundas from the corner at University. Lots of traffic, but it's noontime, so it's not really too bad. It's much worse at rush hour, as many people try to use University as a conduit to the northern reaches of the city. Of course, the more that people use it, the more crowded, and slow, it gets. This page contains a single entry by Chris published on January 19, 2012 9:04 AM. Clambering was the previous entry in this blog. Looking Back 2 is the next entry in this blog.